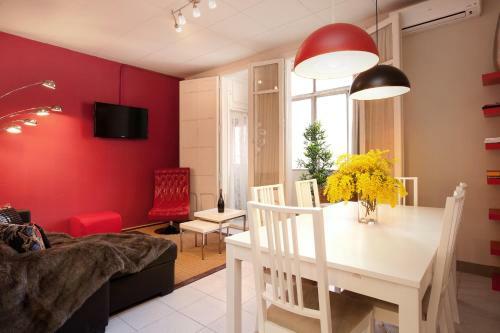 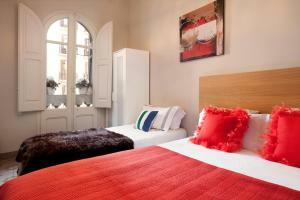 Just 5 minutes’ walk from the Sagrada Família, these apartments offer stylish rooms with free Wi-Fi. 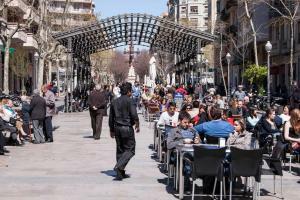 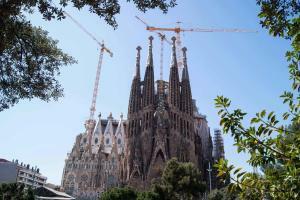 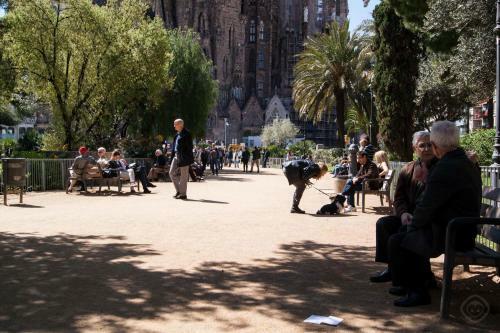 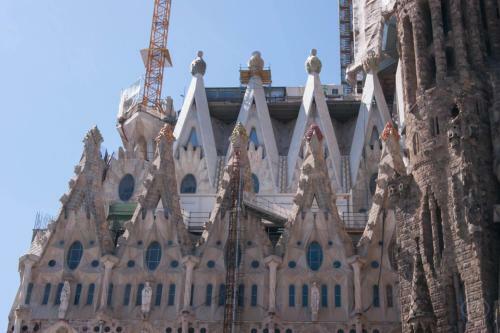 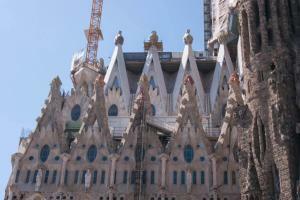 Allapartments Sagrada Familia is located 350 metres from Monumental Metro Station. 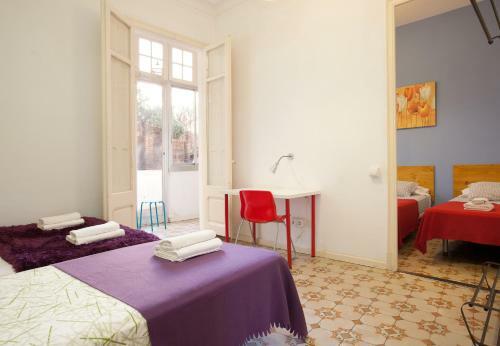 Housed in a beautiful Modernist building, each of the spacious, contemporary private rooms at Allapartments Sagrada Familia features high ceilings and attractive décor, and some have French doors and a balcony. 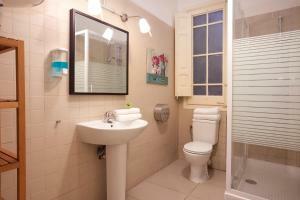 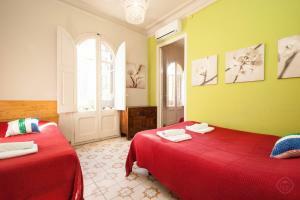 All rooms have air conditioning, heating and 2 bathrooms. 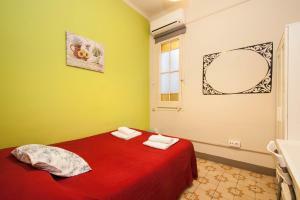 Bed linen and towels are included in the rate. 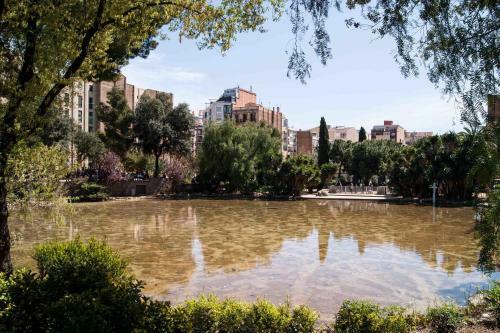 Monumental Station is just 3 stops from Universitat, which is just 5 minutes’ walk from Plaza de Catalunya and Las Ramblas. You can reach Passeig de Gràcia in 5 minutes by Metro. 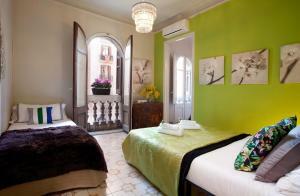 Hospital Sant Pau, a UNESCO World Heritage Site, is just 20 minutes’ walk from the apartments. 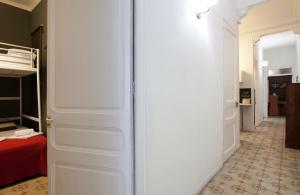 Please note that you must provide passport numbers from all the members staying at the apartment. 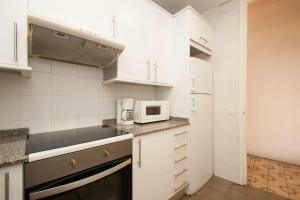 Please note that parties, loud noises or music are strictly forbidden. 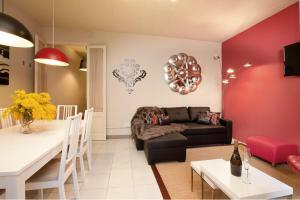 Please note that there is a damage deposit of € 300 per apartment. 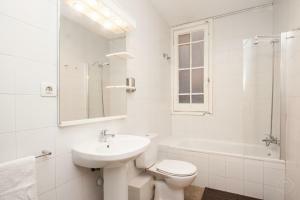 The damage deposit will be blocked on your credit card and unblocked if the house rules have been followed and no damage has been done to the property. 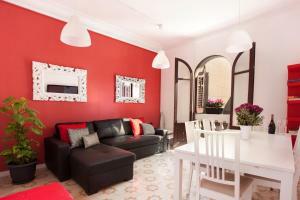 Spacious beautiful apartment of 150 m², with 4 big air-conditioned bedrooms and 2 bathrooms, ideal for big groups of people/big families. 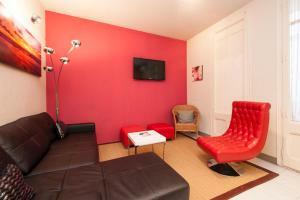 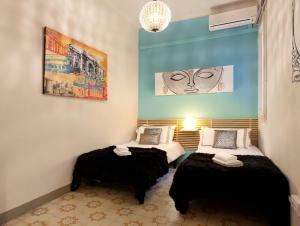 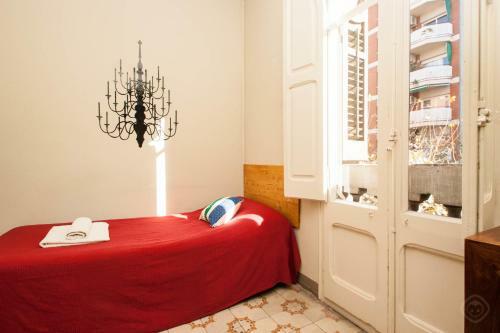 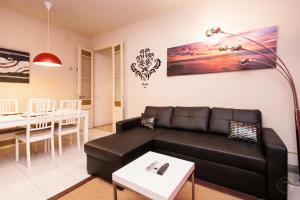 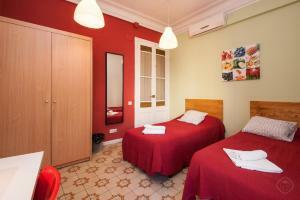 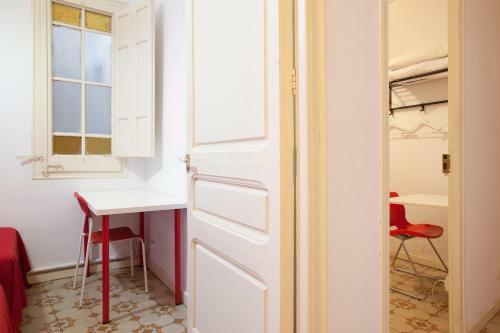 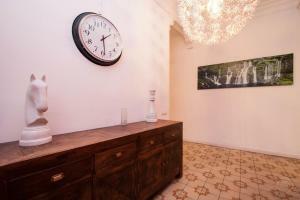 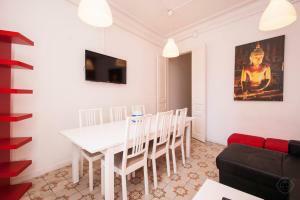 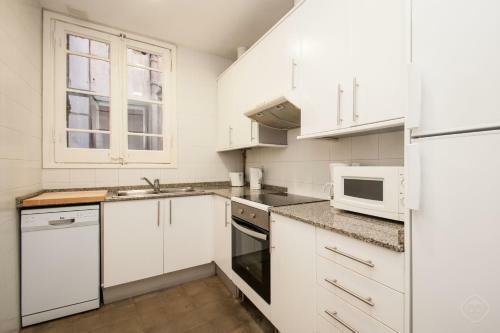 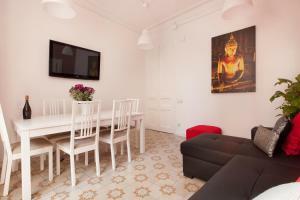 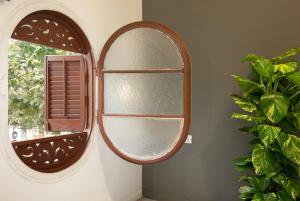 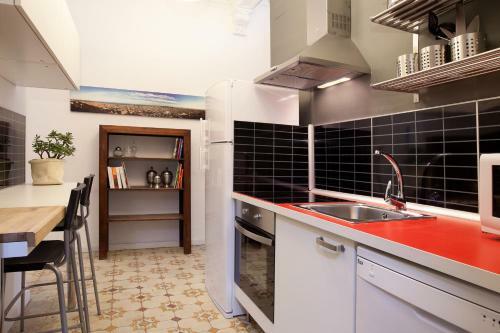 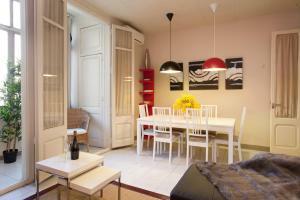 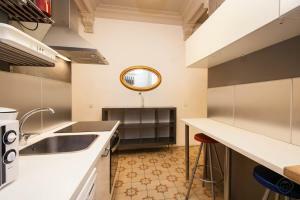 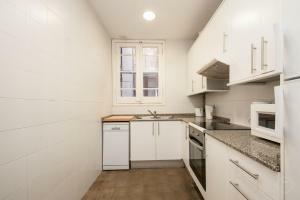 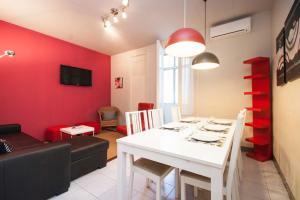 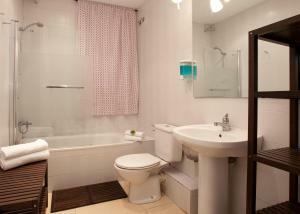 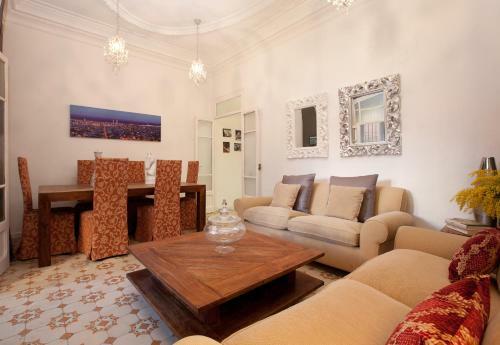 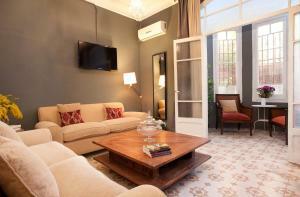 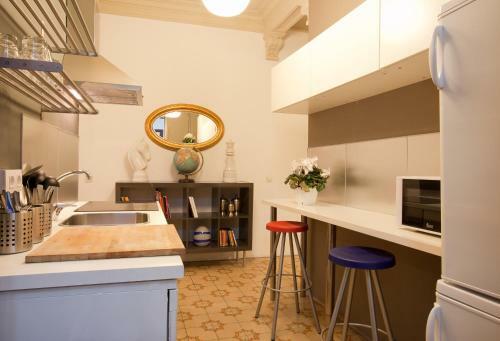 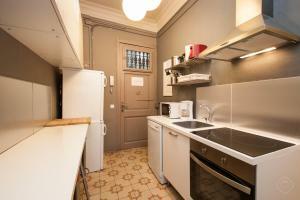 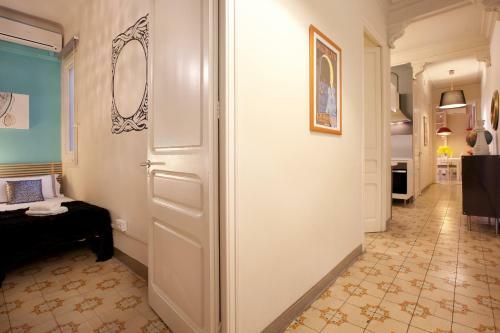 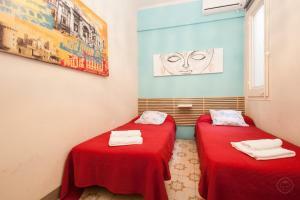 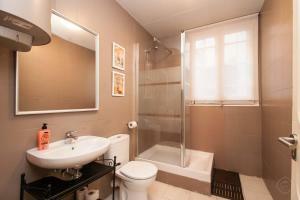 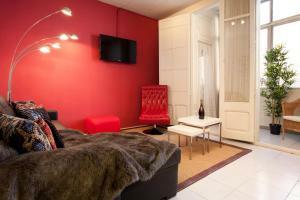 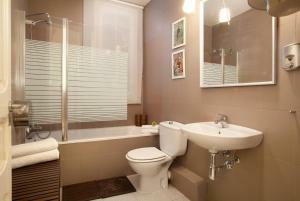 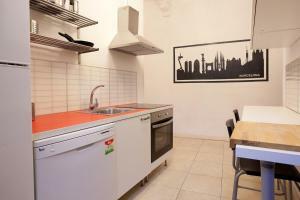 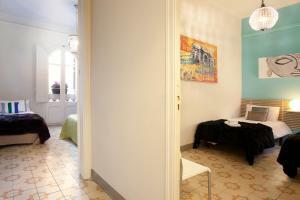 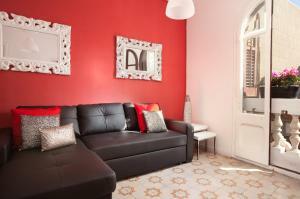 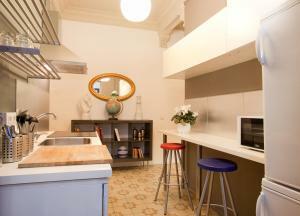 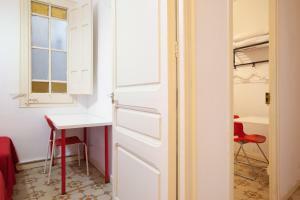 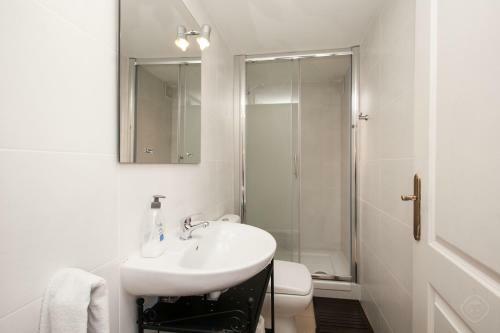 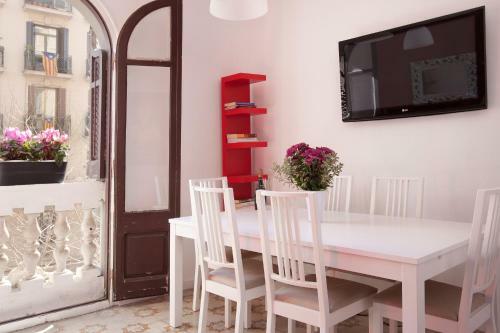 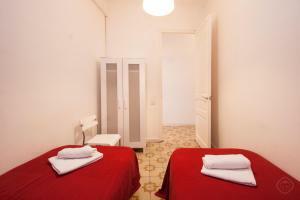 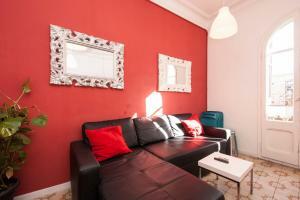 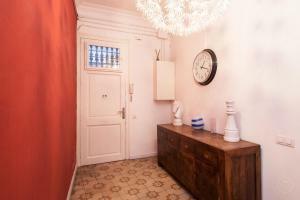 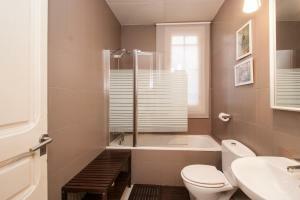 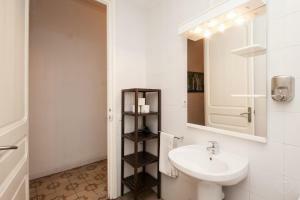 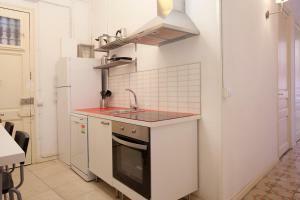 Located close to Sagrada Familia, in the centre and close to all important attractions of Barcelona. 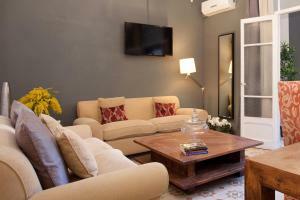 There is a living room with a TV, free WiFi, air conditioning and two bathrooms with showers. 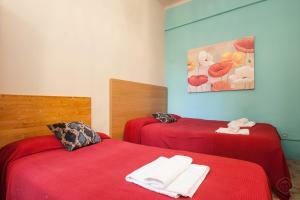 Towels and bed linen are included in the price. Rate: € 187.00 ... € 328.00; select dates below to get current rates. 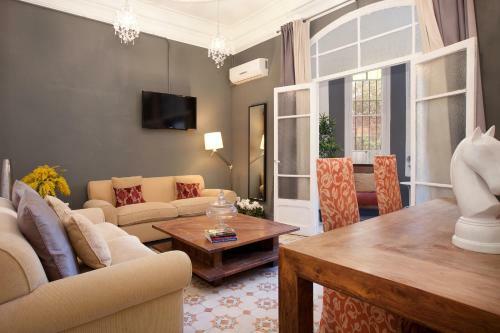 Spacious beautiful apartment of 150 m², with 4 big air-conditioned bedrooms and 2 bathrooms, ideal for big groups of people/big families. 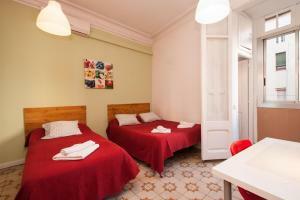 Located close to Sagrada Familia, in the centre and close to all important attractions of Barcelona. 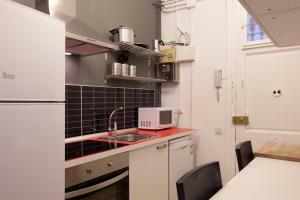 Modern kitchen and living room with facilities such as TV, free WiFi and air conditioning. There are two bathrooms with showers. 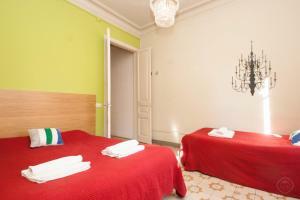 Towels and bed linen are included in the price. 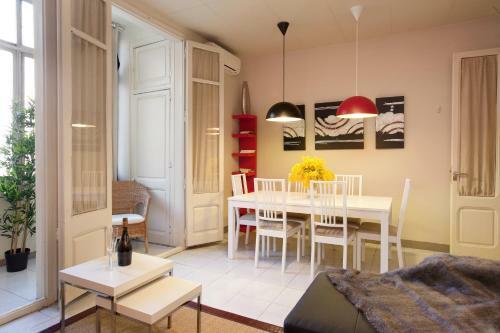 Spacious beautiful apartment of 150 m², with 3 big air-conditioned bedrooms and 2 bathrooms, ideal for big groups of people/big families. 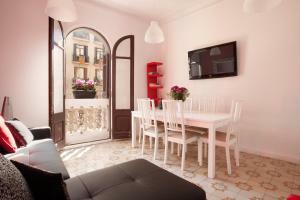 Located close to Sagrada Familia, in the centre and close to all important attractions of Barcelona. 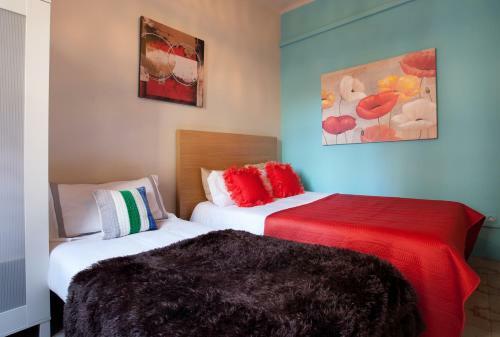 Bedrooms are organized as follows: - Bedroom 1: 2 single beds - Bedroom 2: 2 single beds - Bedroom 3: 1 double bed and 4 single beds. 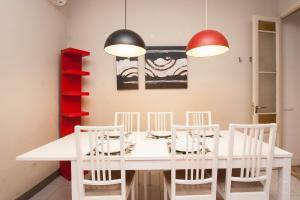 Modern kitchen and living room with facilities such as TV, free WiFi, air conditioning, etc. 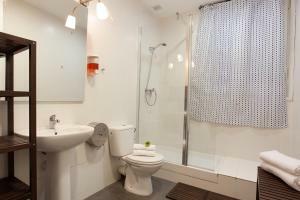 Two bathrooms with showers. 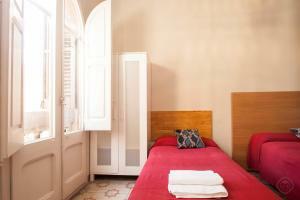 Towels and bed linen are included in the price. 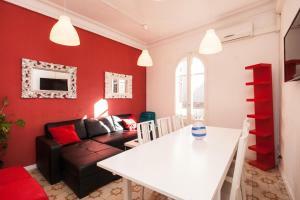 Spacious beautiful apartment of 150 m², with 4 big air-conditioned bedrooms and 2 bathrooms, ideal for big groups of people/big families. 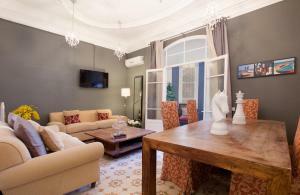 Located close to Sagrada Familia, in the centre and close to all important attractions of Barcelona. 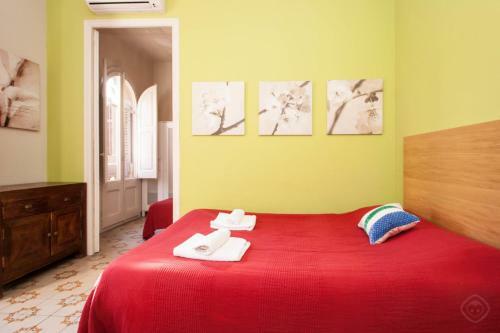 Bedrooms are organized as follows: - Bedroom 1: 2 single beds - Bedroom 2: 1 double bed and 1 single bed - Bedroom 3: 1 double bed and 1 single bed - Bedroom 4: 1 double bed. 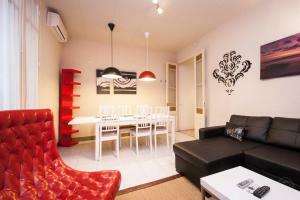 Modern kitchen and living room with facilities such as TV, free WiFi, air conditioning, etc. 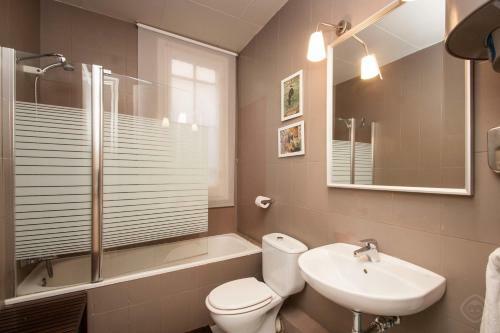 Two bathrooms with showers. 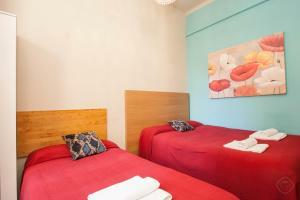 Towels and bed linen are included in the price.